Last month Dana, from House*Tweaking contacted me about sharing our kitchen renovation as part of her on-going Ikea kitchen series. After I did a silent scream at my desk at the fact that someone on Dana’s level found my kitchen inspirational and something that would interest her readers, I sent over some before and after photos along with answers to her questionnaire about our experience with Ikea cabinets and kitchen items. The post went live this morning and it’s surreal to see our kitchen on her page! Since we updated the dining table and chairs, I took new photos, so if you want to see what our space looks like now, go check out the post! Hi Mallory, coming from the link in Dana's post. Love your new kitchen, and I am especially impressed with how open and airy the "after" feels thanks to your decision to take down the wall and use a two tone cab system. Would you mind me asking what the size of the kitchen was before? 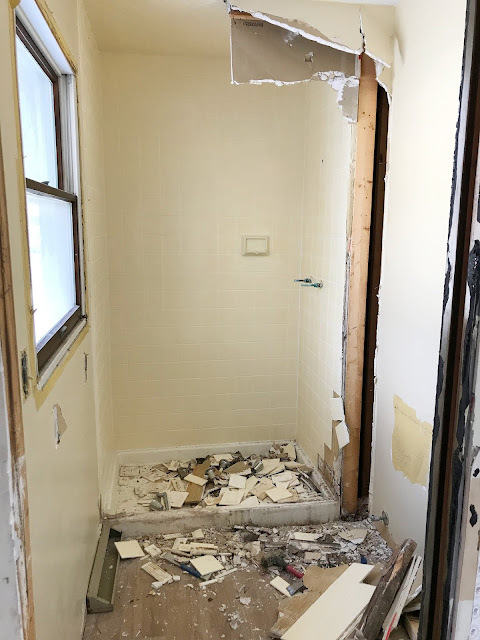 Our kitchen is a typical old colonial one (= small, and we are living with it while saving up pennies), and I find your project truly encouraging! Thanks Eri! I had to do some digging and some guessing based on the new plan drawings, but I'd say it was 11' by about 8'. We were definitely in the same boat as you are now, it was tiny! We added almost 5' by opening the wall, but it feels like we tripled the space! Good luck on your future project! 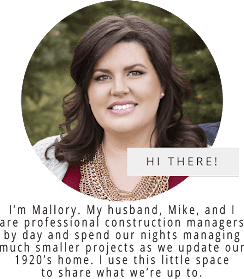 Thanks Mallory for taking the time to answer my question, and oh my gosh your before kitchen size is pretty similar to ours! Thank you again, your project is greatly inspiring and gives us lotta hope!! Hi Mallory! I am coming over from House Tweaking, too! I seriously LOVE your new kitchen. You guys did a great job, and I think the Ikea cabinets look awesome. I noticed your source list, but I don't think I saw anything about where you got your cool fixture over the dining table. I love it! Would you mind sharing? Thanks Tracey! The pendant is from World Market, it's called "Black Iron Bell Pendant Lamp" and is unavailable online, but I found mine in the store, so hopefully you have luck finding it in your local store! Thank you so much, Mallory! Awesome floors!! May I ask where you got the idea?